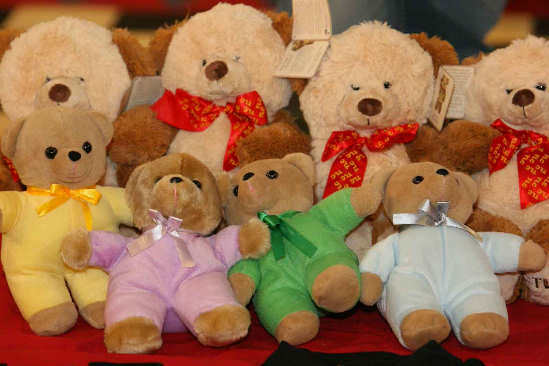 A Teddies for Loving Care Story? I am a young child. Something is wrong with me. I am ill, or I’ve had an accident. It hurts, and I don’t know what’s wrong. Mum and Dad seem worried, that worries me. I am taken to Hospital – the Casualty Unit. I don’t understand what is happening. There are strange people – in uniforms & coats. With all kinds of frightening needles and instruments. I am still in pain, but now I’m very scared! I don’t want them to touch me – it will hurt. I am scared at what they are going to do. I cry – I scream – I struggle. Everyone says they just want to make me better. But it’s so scary – they always say it won’t hurt. But one of them has a teddy. They give it me to cuddle. They tell me what that they need to do. They show me what they are going to do on teddy. Teddy doesn’t cry. It didn’t seem to hurt him. If it didn’t hurt teddy, it won’t hurt me. I cuddle teddy very hard. It doesn’t hurt as much. They say I am very brave. As brave as teddy. They say I am going to get better. They say I can go home. Mum & Dad are smiling. The Nurse says I can take teddy home! I am smiling!